This is going to be your general lighting that illuminates the entire room space. This is usually a chandelier or flush mount on the ceiling. 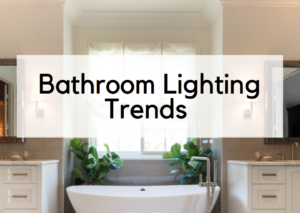 As the name suggests, this is lighting that pinpoints specific ‘tasks.’ In the bathroom, this is going to be your vanity lighting. This last layer is also focused light that illuminates dark corners or tight spaces. Think: around the toilet. 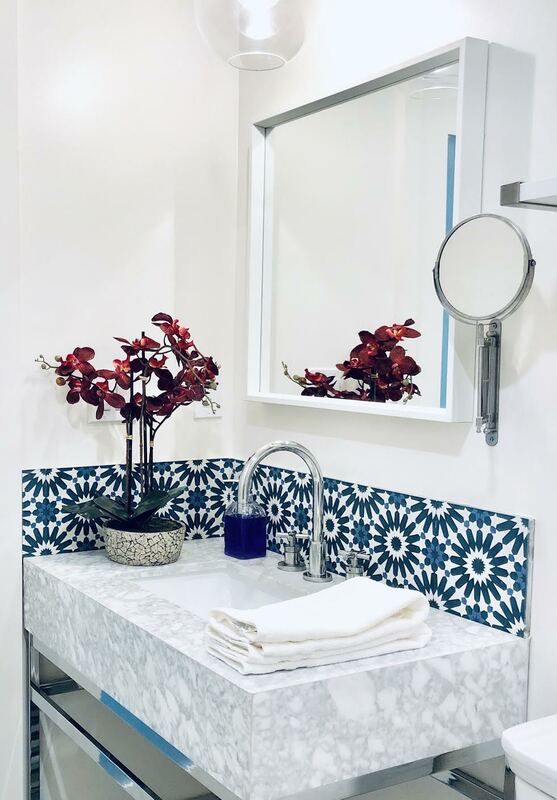 There’s a reason the best baths all install sconces or pendant lighting at face level on either side of the vanity mirror. It’s super flattering! Relying solely on overhead ambient lighting is going to cast shadows on your eyes and make you look tired and angry in the mirror. 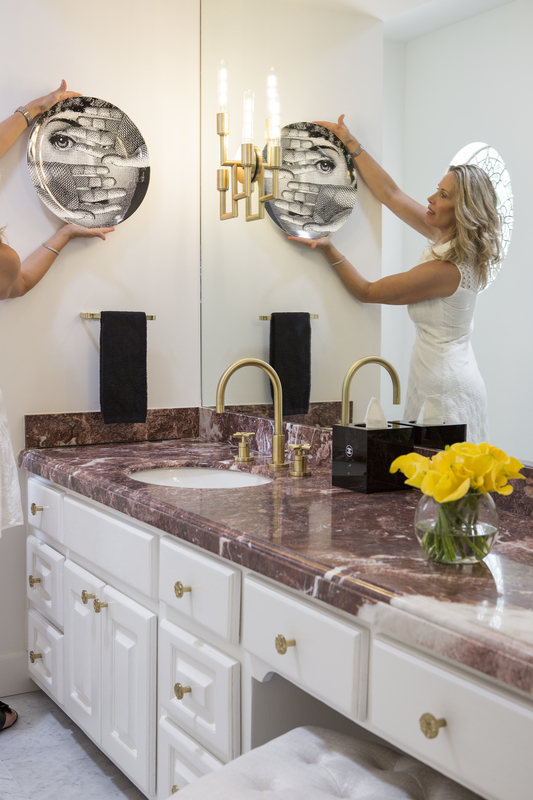 Generally sconces of pendants should sit on either side of the mirror about 65 inches from the floor and just a few inches from the edges of the outside of the mirror. Contrary to popular belief not all the lights in the bath must be damp-rated for wet spaces. 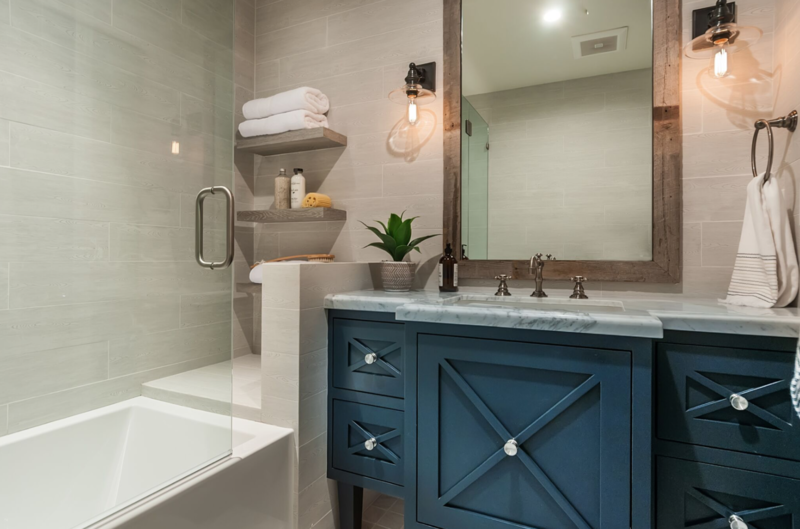 Of course, there are a couple instances in which its absolutely essential, namely as the main light above a bath or shower and ideally above the sink as well. 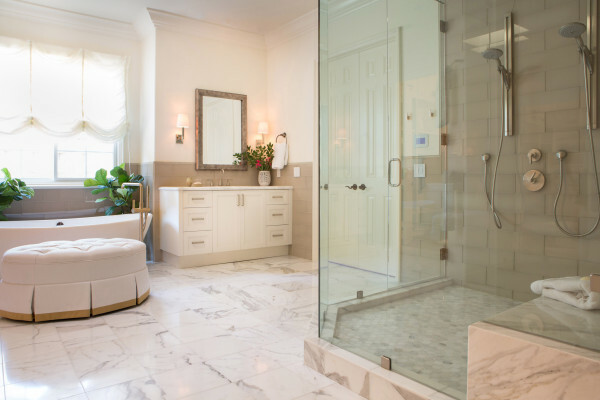 Since baths are generally smaller spaces, you don’t need a ton of wattage. About 60 watts should suffice. 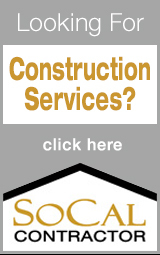 Perhaps even less in a small powder room or half bath. In this Bel Air home, we wanted to use the lighting to complement the existing brass hardware (can you say 80s glam?! It’s back, baby!) 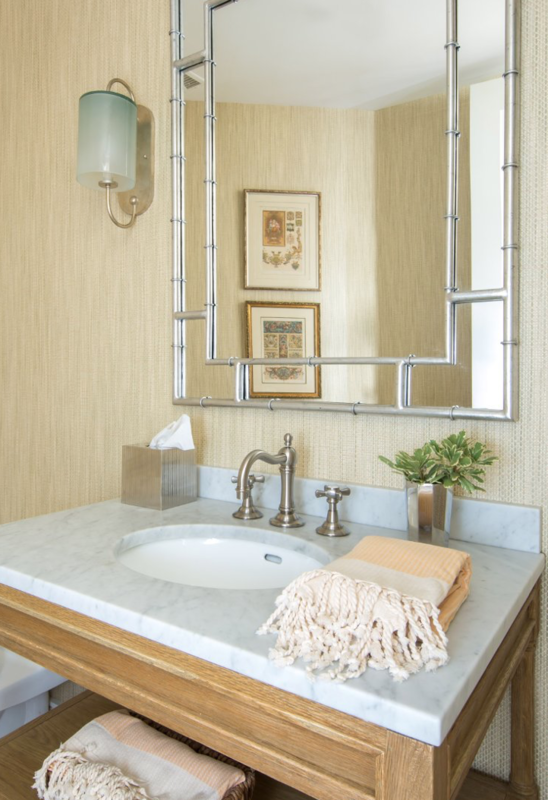 So we op’t for these brass sconces from Lamps Plus that are just gorgeous! 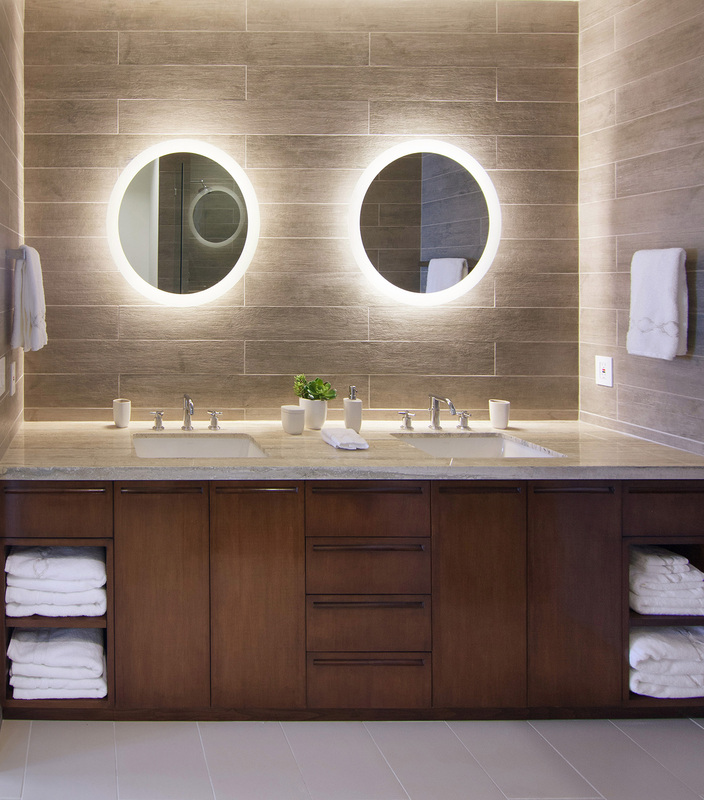 Think outside the box a little bit to make a statement with lighting in the bath! 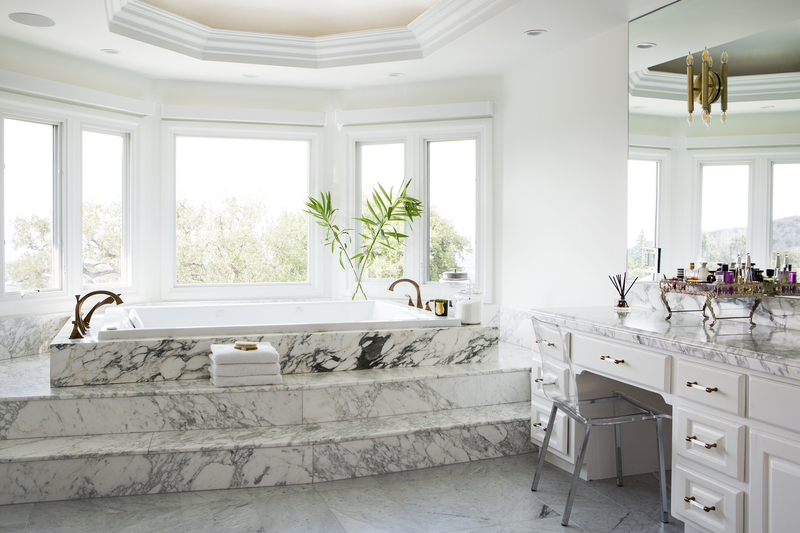 Bath bars and recessed lighting are not your only options. 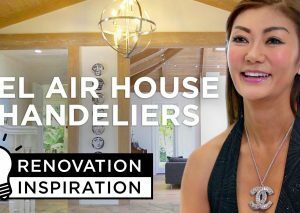 Think about adding a chandelier if you can and consider the finishes. Put as much as possible on dimmers! When you wake up in the morning and are getting ready, easing into your day, the last thing you want is to be blasted with unnatural light. 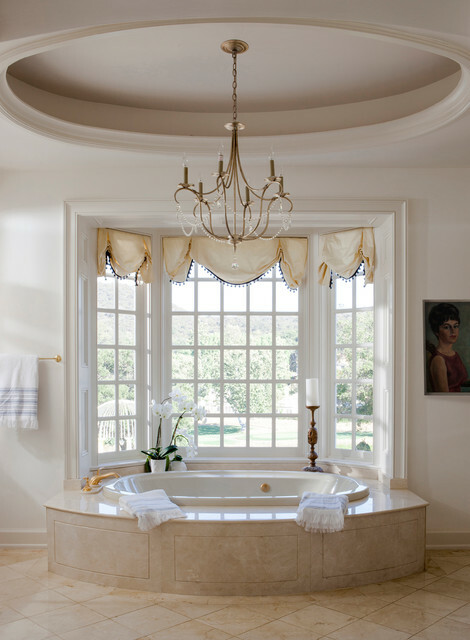 I personally love the look of a pretty crystal chandelier in a bathroom. It’s classic and elegant. But if you have a low ceiling or its not your style and you want something more streamlined, consider a flush-mount over canned lighting. 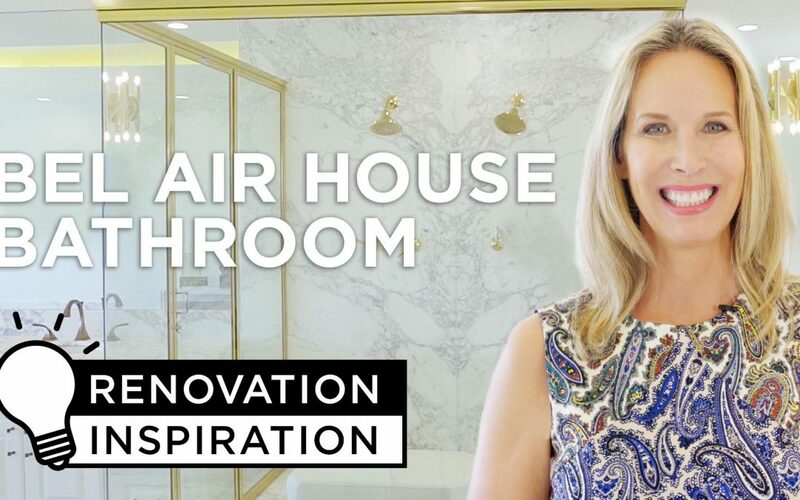 You may be saying — what do I do if I only need to light a small powder room or my vanity isn’t large enough to accomodate all of these different layers of light? 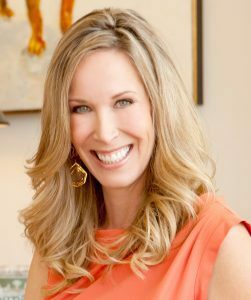 Apply the same principles above to best suit the needs of your space. You can skip a step or two and still have the luxe space of your dreams! 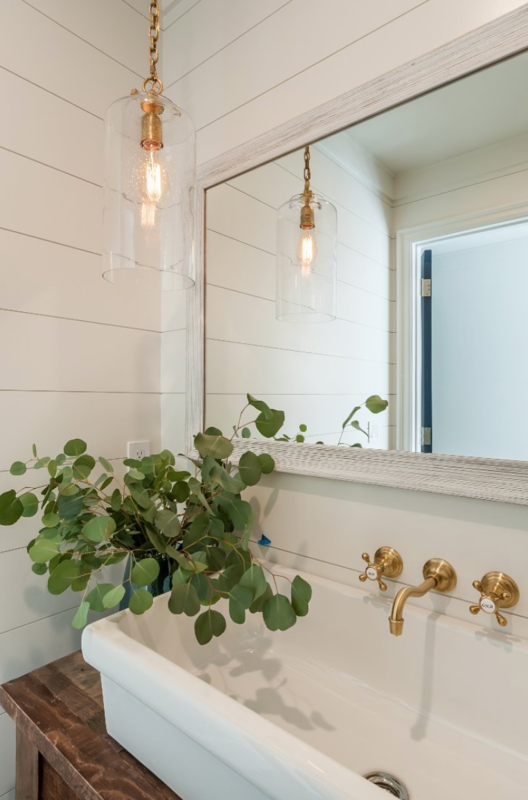 This is where a simple bath bar light can be incredibly helpful as both task and general light to illuminate the whole space or sconces that are flush against the walls. If your ceiling is too low for a chandelier, there are plenty of flush-mounts that are water-safe to install above a shower. You don’t have to resort only to recessed lighting! It’s time to get creative.